* Pioneered autumn and winter micro injection treatments in 2003, has the most experience within the industry. * The best time of the year to monitor your trees health and advise accordingly. *Treatment in Autumn Kills Beetles even on damaged trees prior to hibernation in Winter. * Elms do grow new leaves in Early Autumn after the summer heat has subsided. * Inspect for insecticidal resistance, very serious and pending, developing in certain areas. * Treating on cue too minimise risk and keep chemistry levels high. * More even chemical dispersal throughout the canopy particularly in dry conditions. 1/. Adult Beetles will feed actively up till the end of May. 2/. 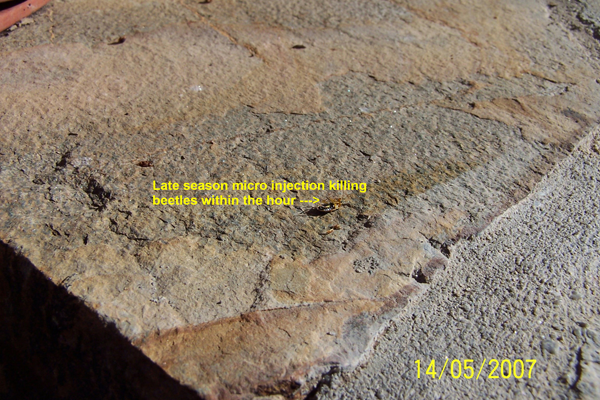 Treatments are fast acting killing beetles in as little as eight minutes on a warm day and within hours in cooler weather. 3/. Autumn and winter treatments allow the insecticide to translocate more evenly throughout the canopy more so than in spring which is best for soil injection only. Clients tend to confuse soil injection with micro tree injection, both different concepts with different timing of application. 4/. Prior to Hibernation beetles seek out dry sheltered sites such as garden sheds, house ceilings and sub floors are favoured. 5/. Hibernating beetles are activated by warmth, causing the insects to fly and crawl make their way into rooms, creating a considerable nuisance in wardrobes, carpets and dying in light fittings. Points of Difference: Experience, Know How, and Capability. 6/. Tree injection applications vary between species and cultivars, added adjuvants greatly improve the efficacy of neat products when injected. 7/. Unlike our competitors Elmsavers is not restricted to one line of chemistry. 8/. Elmsavers pioneered autumn and winter micro injection treatments in elms trees over 15 years ago. 9/. We already had extensive experience with multi chemistries when others had no understanding of the concept. 10/. 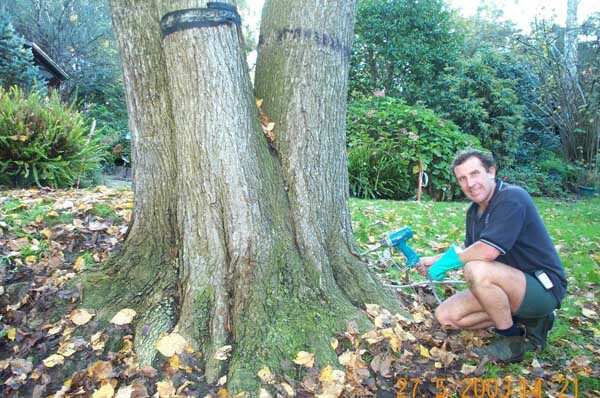 The first company in Australia to undertake large Elm Leaf Beetle tree injection projects for councils. 11/. 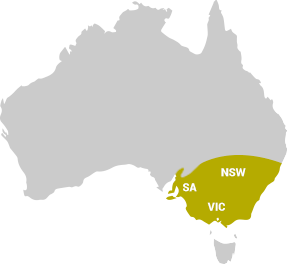 Our Company has treated hundreds of thousands of elms over time in all climatic conditions throughout south eastern Australia. 12/. Treatments are backed by our written guarantee, underpinned by our extensive experience and data base records. 13/. Beware of companies that can’t supply a written guarantee on completion, this demonstrates a lack of experience, confidence and their ability to deliver. 14/. Don‘t waste your time and money on novices in their attempt to gain experience at your expense.